I buy bananas with good intentions. They sit on the counter waiting to be grabbed for a quick snack. Sometimes they are eaten up quickly. Most often, however, they sit there till they start to turn brown and gross. I hate to waste food so I’ll throw them in the freezer to use in recipes. When they turn brown like this, I can’t bring myself to eat one as is, but I don’t mind using them up in a recipe. 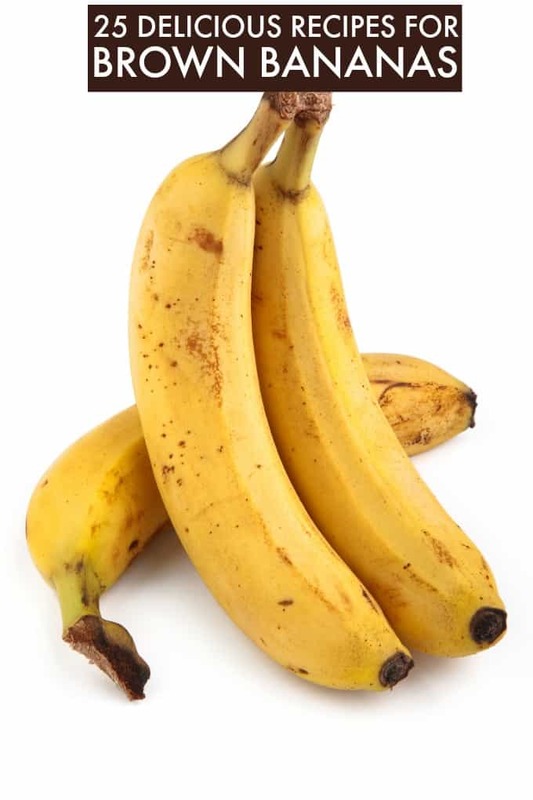 In fact, some recipes require the bananas to be overripe! They have many, many uses. My mom always made banana bread with them. I remember having an after school snack of banana bread warm out of the oven and topping it with butter. The butter would melt and flavour the bread even more. My mouth is watering just thinking about it! Classic banana bread is one use for your brown bananas, but I’ve discovered a bunch of other yummy ways you can use them. Don’t let those bananas go to waste! 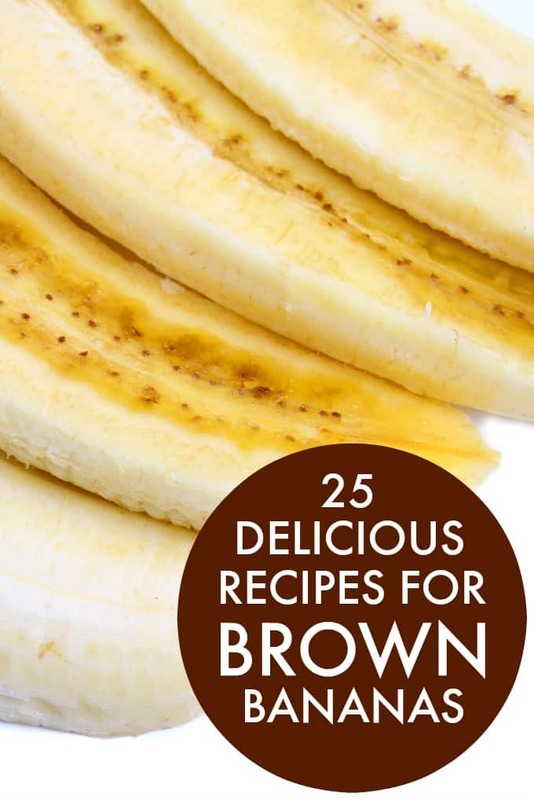 Here are 25 delicious recipes for your brown bananas. 1. Banana Cake: Sweet, dense and packed full of flavour. The cream cheese icing is the perfect complement. 2. Caramel Banana Muffins: Incredibly moist and flavourful banana muffins topped with a sinfully sweet ribbon of homemade caramel. 3. Banana Chocolate Cake: Rich, luscious and fully of yummy chocolate flavour. You won’t be able to stop at just one piece. 4. Banana Split Brownies: Delicious homemade brownies with a hint of banana and topped with strawberry cream cheese frosting. A fun dessert that everyone will enjoy! 5. Cinnamon Banana Pancakes: Add some cinnamon and bananas to your next batch of pancakes. My family gobbled this delicious breakfast up in record time! 6. 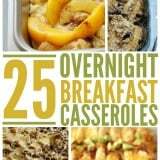 Banana Bread Breakfast Casserole: Use up your brown bananas and leftover bread in this crowd-pleasing breakfast recipe! It comes together in 10 minutes, bakes for 1 hour and is a recipe you’ll find yourself making again and again. 7. Banana Cake with Toffee Frosting: A deliciously moist banana cake with a rich toffee frosting. 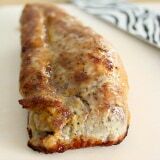 It’s also easy to make and the perfect way to use up those brown bananas! 8. Banana Chocolate Chip Cupcakes with Peanut Butter Frosting: The epitome of decadence! One of the yummiest cupcake recipes yet! 9. White Chocolate Cherry Banana Bread: My version of banana bread with a sweet twist! 10. Peanut Butter Banana Cookies: These peanut butter banana cookies are easy to make and super yummy! 11. Banana Oatmeal Cupcakes: Basically banana bread, but in cupcake form! 12. Paleo Banana Bread: Enjoy banana bread on a Paleo diet. 13. Banana Bread Pancakes: Pancakes fuse together with Banana Bread to create a family favorite breakfast! 14. Cream Cheese-Filled Banana Bread: The bread is soft, moist and the cream cheese layer is like having a layer of cheesecake baked into banana bread. 15. Banana Pudding Ice Cream: A creamy and rich banana pudding ice cream with real banana flavor and wonderful pieces of Nilla wafers mixed in. 16. Banana Caramel French Toast Bake: Filled with ripe bananas, BAILEYS® Caramel Coffee Creamer, and caramel sauce, this Banana Caramel French Toast Bake is an easy breakfast that makes getting up in the mornings just a little bit easier! 17. Banana Yeast Bread: Fragrant and tender bread with a hint of cinnamon. Use ripe bananas for best results. Very easy in the bread machine. 18. Banana Flaxseed Waffles: A delicious combination of sweet, ripe bananas and ground flaxseed, mixed in a batter of just five ingredients, and made into crispy waffles. 19. Chocolate Chip Banana Bread: Super moist and sweet chocolate chip banana bread is the ultimate quick bread recipe! 20. Banana Bundt Cake with Walnut Cream Cheese Frosting: A super moist banana cake recipe that can be made in a bundt pan. Recipe uses one cup of vanilla Greek yogurt which gives it a super moist bite. Use ripened bananas for best flavor, and allow cake to cool before frosting. 21. Blueberry Banana Granola Bar: These soft and chewy homemade granola bars are gluten-free, vegan and refined sugar-free. 22. Banana Bread with Splenda: Perfect for those of you looking for sugar alternatives. 23. Chocolate Chip Banana Muffins: Perfect to take on the go for a quick breakfast or snack. 24. 3 Ingredient Breakfast Cookies: A great way to start your day with an easy recipe. 25. Banana Pancakes: A yummy breakfast twist that your family will love. 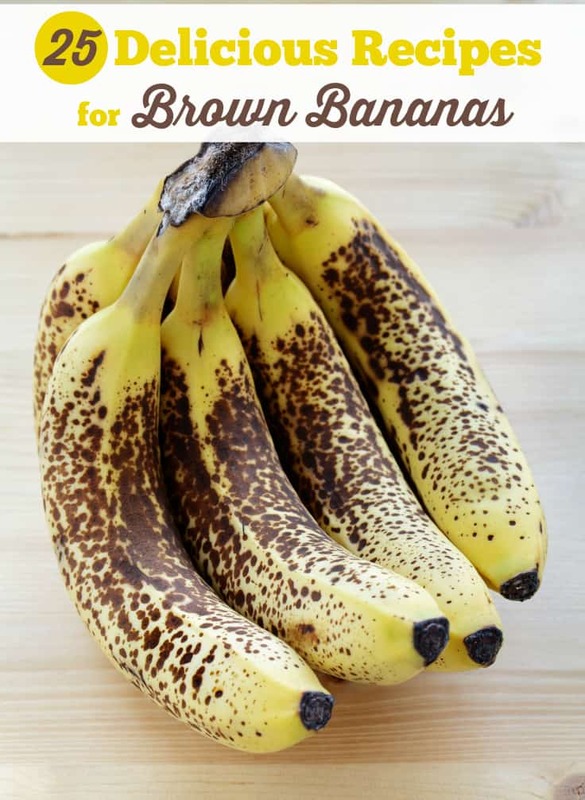 As you can see, there are plenty of ways to use brown bananas in addition to banana bread! This is a great list to inspire you to enjoy those bananas at the bottom of your freezer. Whatever you do, DO NOT throw them away. Put them in the freezer until you are ready to use them. If you don’t want to EAT the bananas, here are 8 unusual uses for bananas you might want to try. Looking for more banana recipes, but in a cookbook? Check out The Banana Cookbook. What is your favourite way to use brown bananas? If you enjoyed this post, you will also love. I usually stick to banana bread! But these ideas sound awesome! Thanks for putting them in one place! I honestly never considered an alternative to banana bread! Thank you for all the lovely ideas! Using them in cookies is my current favorite! Definitely going to have to check these recipes out since we always have brown bananas around and I get tired of making banana bread. Thank you so much for linking my Banana Berry Muffins. I’m definitely going to have to try out some of the other ones. So many great recipes! You have a beautiful site! Some pretty amazing banana recipes, and I’m kicking myself for giving my daughter my Yonanas, but I see I don’t need one all I need is my food processor, awesome!! thanks for all the great ideas/recipes ! My son just loves when i mash in a banana in the pancake batter. Will be trying the Banana Caramel French Toast Bake for Sunday breakfast! sounds so good! I cut them in bites to freeze them and later have them on hand for a smoothie. You gave me cool alternatives to try. Thanks! i can’t stand ripe bananas. hooray for banana bread recipes! count me in the banana bread group but so many better options in this list! I totally hear you about buying bananas with good intentions… In fact, I have a few hanging out in my kitchen that are a little past their prime. It’s nice to see so many other recipes for brown bananas other than banana bread. I do usually save my brown bananas and then I make bread. Thanks for all of the awesome ideas!! I usually just do banana bread or muffins! I have a few bananas in the freezer waiting for me to make muffins or banana cake! This is a good way to not throw the bananas out anymore. I also heard that they prefer to use brown ones in a frozen chocolate-dip. Thanks for adding my banana flaxseed waffles recipe in the round-up Stacie!! Really appreciate it! Thanks so much for all the delicious recipes for bananas! The only recipe for over ripe bananas that I’ve ever heard of is for banana bread. I never touch that either, I just don’t like over ripe bananas I’m afraid. I hate to eat brown bananas but they are great in banana bread. The extra sweetness of the banana means I can cut down on the sugar as well. Stacie Thank you so much for featuring my Bruleed Banana Bundt Cake and Simple Skinny Banana Cookies! I LOVE the fact that you did a round up like this! I am in LOVE with these other recipes!!! I’m definitely going to try the peanut butter banana cookies! I need to bookmark this. I only like bananas when they’re hard. When they’re ripe get I don’t know what to do with them. This is our favorite use for brown bananas! Love all the options but you missed one from long, long ago. BANANA PINEAPPLE JAM – so good my sister’s boys used to auction them off at school 45 years ago. Pick a pectin, pick a jam that sounds similar. Ingredients: One can of crushed pineapple, mashed ripe bananas to equal the amount of fruit called for by the pectin. Proceed according to the instructions. Simple but so yummy. I like fried bananas. After cooking bacon, leave the grease in the pan. Then, peel and slice the banana lengthwise. Cut the slices in half to make turning easier. Fry in the hot grease until starting to get a crisp coating and then turn over. You could sprinkle with powered sugar but I like them just as is. These are great with breakfast. 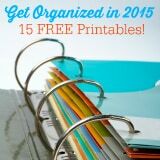 This is such a great list of recipes! Whenever I have overripe bananas, I almost always just make my favorite banana nut bread. Although I love it, it’s great to see so many new options.! your no fail banana bread sounds/looks great, and is always needed, seems like s soon as we turn around our bananas are brown, and I hate wasted food! Any idea the calorie count for this recipe? This will be the first time I tell my family NOT to eat the bananas… not very often I am purposely trying to make my fruit over ripe. LOL Thank you! The waffles sound delicious. I normally use mine in oatmeal. Thanks, seems like my bananas go brown before I get to eat them – now I have alternatives for using them. Itr is wonderful to have so many recipes from which to choose. I usually just make banana bread. I also use them to make dog treats. You have a banana recipe on your site that made a lot of bread. It used sour cream and your had posted pictures of your daughter making it. I can’t find it and it’s my family’s favorite. Can you share it?